JOB DESCRIPTION: Responsible for preventative maintenance and shuttle operations for Leech Lake Gaming. Maintains transportation vehicles on daily basis with onsite facilities. Inspects vehicle operations on a daily basis supported with reporting documentation. Develops time management control systems as necessary to aid in scheduled arrival and departure time-table. Assists in formulating short and long range goals for the casino shuttle department to increase profitability. Assists in the development of long range/daily preventative maintenance schedules and vehicle maintenance record keeping. Assesses conditions of deficiencies and report to supervisor to aid in the implementation of approved Internal Controls. Prepares periodic reports to/for management as necessary or requested. Acts as the liaison for the casino's transportation department during services. Regulates vehicles internal environment to create a comfortable climate. Maintains cleanliness of vehicles on an as per-run status. Must have basic preventative maintenance skills for transportation vehicles, such as but not limited to; maintaining cleanliness, routine fluid checks, and daily pre-post trip inspections. Must have a valid Class D (or better) Minnesota Driver’s License in possession whenever operating a vehicle. Must comply with local, state, and federal traffic regulations. Ability to communicate effectively with staff is required. Must have, or obtain First Aid and CPR training. A complete knowledge of travel locations and addresses in the local community is desired. Must be flexible in working various hours, shifts, weekends and holidays. Prolonged sitting while operating motorized vehicles is required, prolonged standing and walking is required. Must be physically fit to be able to assist Guests in and out of vehicles. Must be able to life and carry a minimum of 45 pounds. Education Required: High School Graduate or General Education Degree (GED). 565 Transportation Driver in Leech Lake Gaming Office, Cass Lake, Mn. 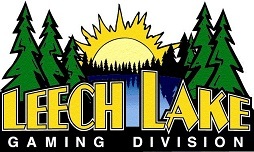 567 Transportation Dispatch / Shift Supervisor in Leech Lake Gaming Office, Cass Lake, Mn.